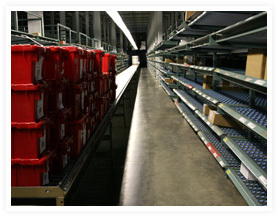 Utilizing our modern warehouse operations enables you to achieve greater control within your business. M&M Quality Solutions offers competitive rates, clean and secure sites to ensure your product is housed in the best environment and at the right price. Whether you are in need of short-term or long-term storage space, we provide availability in the Northeast and Mid-West. 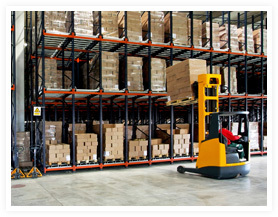 In addition, we proudly offer several value-added services to meet your needs including, but not limited to inventory management, cross-docking, and pick/pack. M&M Quality Solutions provides customized sort, containment and inspection services to meet your specific requirements. Our standardized procedures ensure you will receive timely, accurate and affordable services while providing customized reports that capture the feedback you require to keep your business running smoothly. 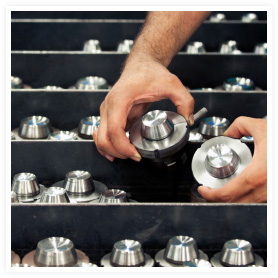 If the inspection process uncovers the need for rework, we are equipped to handle the procedure in order to return the parts back into circulation; thus, saving you the cost of returns, scraps or manufacturing line issues. Additional rework services include finessing and light polishing for your chrome, painted or coated parts. 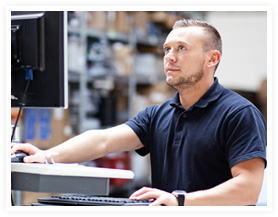 You may either choose to have your product shipped directly to one of our warehouse facilities or we will provide an inspection team to come onsite to your company. 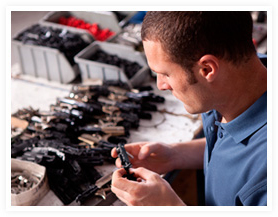 Providing OEMs with launch support is one of our specialties. Our full-service operations team includes site managers, team leaders and engineering assistance. This coordinated effort oversees all aspects of the launch and provides for support from the initial planning stage to production timelines and delivery. Our team effort and organization allows you to better manage your resources and enables you to stay focused on your principle competencies. M&M Quality Solutions delivers technical and engineering support to help increase productivity and lower costs within your organization. Some of our services include, but are not limited to: PPAP review and witness, process audits, FMEA and control plans. Our engineers are able to research and resolve real-time production issues and deliver assistance with Six Sigma principles. In addition, we provide digital scanning capabilities onsite at your facility using our Nikon digital hand scanner. Digital scanning has a wide-range of applications including high accuracy parts, small geometry, semi-rigid parts and the more challenging materials. M&M offers the most comprehensive services for all reverse engineering, inspections and other 3D data capture applications. M&M Quality Solutions represent your interests when quality concerns arise. Our professional team thoroughly communicates with you during every phase of a process and protects your business by addressing quality issues before they become major problems. Our skilled professionals have the knowledge and experience to step in to represent you and your company, whether it is for a proactive goodwill visit or a reactive design/re-work issue. The key to successful product development and production is selecting the right supply chain partner. Implementing tailored solutions, assisting with supply and demand uncertainty, and supporting you with planning and control strategies are just some of the ways you will benefit from our services. 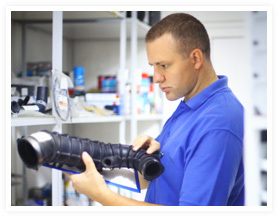 Our professional team provides support for OEM, after-market users and distributors worldwide. Outsourcing these services to M&M Quality Solutions not only provides you more flexibility, it increases the flow of your production, and initializes cost savings to you and your final customer. As with many of our other services, M&M Quality Solutions is an extension of your business; allowing you to focus on production. We can perform sequencing, kitting and sub-assembly services that adhere to your standards and offer the quality control to ensure your projects are complete, accurate and on-time. Our Returnable Container Management Program is a customizable solution to help manage your packaging resources. M&M Quality Solutions protects your container investment by cleaning with an environmentally friendly system, tracking and repairing the containers on an as-needed basis. Our extensive knowledge in container management solutions allows you to optimize your resources, increase warehouse efficiency and provides a cost-effective solution to container disposal. 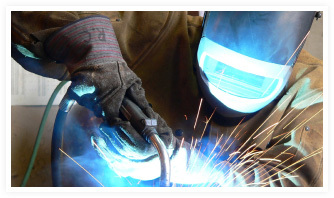 Our MIG welding operations meet the needs of various industries and include spot and resistance welding. M&M Quality Solutions provides complete customer satisfaction through superior quality and service.